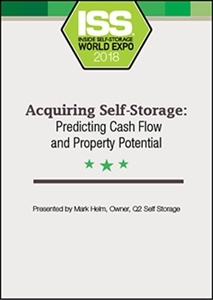 When investing in self-storage, it’s important to accurately predict the upside potential of a property, including future cash flow. Today’s crowded buying market and higher sale prices mean you’ll likely have to pay more for good properties. Our presenter will show how to create cash-flow projections for all types of projects and determine what you should reasonably and confidently pay for an asset.